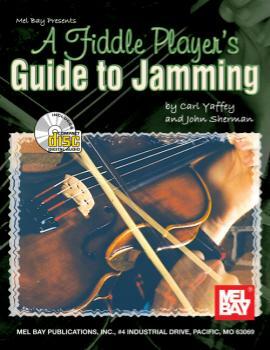 By Carl Yaffey, John Sh () - This book presents everything a beginning or intermediate fiddler player needs to know to participate in a jam session. There are sections that describe the anatomy of a jam session, jam session etiquette, chords and keys for jamming, and vamping. A play-along CD is included with 9 typical bluegrass jam tunes. The tunes are played twice: once with the tune played on the left channel and a verbal description on the right channel, and once in stereo.